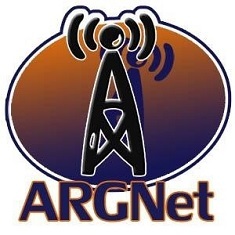 There were so many game launches, puzzles, and events at ARGFest this year, it’s a wonder anyone had any time to attend any of the panels. What follows is a brief summary of some of the events that robbed this columnist of his much-needed beauty sleep. The first game launch of the night was a subtle one. Upon arriving at the Cocktail Party at 7pm, Lewis Murphy handed me his business card. He even went through the trouble of writing my name on the card before handing it over. Upon closer inspection, there was a symbol on the back of the card. Sixteen other specially marked business cards were handed out over the next few hours. Thanks to some quick footwork by Mapmaker, the symbols were all collected and assembled to reveal the website for Alpha Agency. Eight days before the start of ARGFest, a number of players received emails leading to a series of highly technical puzzles and a countdown page. When the countdown ran out, something happened at the cocktail party. The general buzz of conversation was replaced with the rantings of a mad man with a manila folder sticking out of his pants. The natural reaction, of course, was to steal the folder from the crazy man, which is just what EGo did. Inside the folder was a CD containing a video as well as a photo that led the partygoers away from alcohol and into the streets, where they eventually found the following letter marking the end of the scavenger hunt. Luckily, the scavenger hunt ended with just enough time to make it to Loews theater to catch a screening of The Dark Knight, courtesy of ARGFest sponsor 42 Entertainment. Watching the film, I appreciated how aspects of the alternate reality game added to the movie viewing experience. The next game launch arrived carrying a portable music player and little else. The man sported a rather snug piece of swimwear, sunglasses, and elaborate henna tattoos. After a period of flexing to old-time radio music in front of his rapt audience, the mysteriously slow streaker left. The words written on his left shoulder led to Ghosts of a Chance, where you can submit photographs of your eye and call a number to recite the famous Shakespearean spell, “Double Double Toil and Trouble”. The countdown on the page expires on September 9th. John Maccabee of City Mystery is working on the project. The ARGFest planners thought that just letting attendees eat without a challenge would be a trifle unfair. So after dividing interested participants into four groups using a deck of cards (I got the 10 of Hearts), the puzzle quest commenced with a different set of puzzles for each group. The winning team received the Grand Inquisitor’s approval: a poster signed by Elan Lee with the felt beard used in panel after panel. Even FestQuest had a bit of promotion slipped in, as “Thehost” from What is this Game marked the end of the trail, and handed keys to the three players who came from across the country to compete for a role in What is this Movie, a film being produced by Staff of the Magi. “Thehost” gave out business cards that served as keys to con-goers interested in joining in the fun, and was a hit with random passerby on the street as well. Over the previous day, Eight Days faced some inflation, now telling players to visit 13 Lights. Someone left notes on the doors of select players as they returned from last call at the bar. Those of us attempting to solve the puzzle apparently didn’t reach the Ballmer Peak, but eventually the puzzle resolved to a Hitchhiker’s Guide to the Galaxy quote along with a handwritten countdown ending August 3rd. The Tomb is a local Boston attraction that is horribly underappreciated, as it offers a comedic yet entertaining romp through a puzzle-strewn Egyptian tomb transported to Boston. And thanks to a letter accidentally delivered to ARGNet’s own Jonathan Waite’s door, the destination for an alternate reality game. After completing various missions in the Pharaoh’s tomb, players received a Jeffersonian cipher wheel and an envelope containing letters as part of Aporia CME’s Aporia Agathon Project. James and Mei Hui, two characters from Find the Lost Ring, completed the barrage of ARG events by leading our tired ranks through rounds of the 3-circuit and 7-circuit Lost Game. The best times of the day set records for the New England region. Click Here to view the ARGFest 2008 Flickr pool, with photographs of all of the fun. If you have videos of any events, reply to this article with a link! Running the 3 circuit labryinth from the runners point of view.